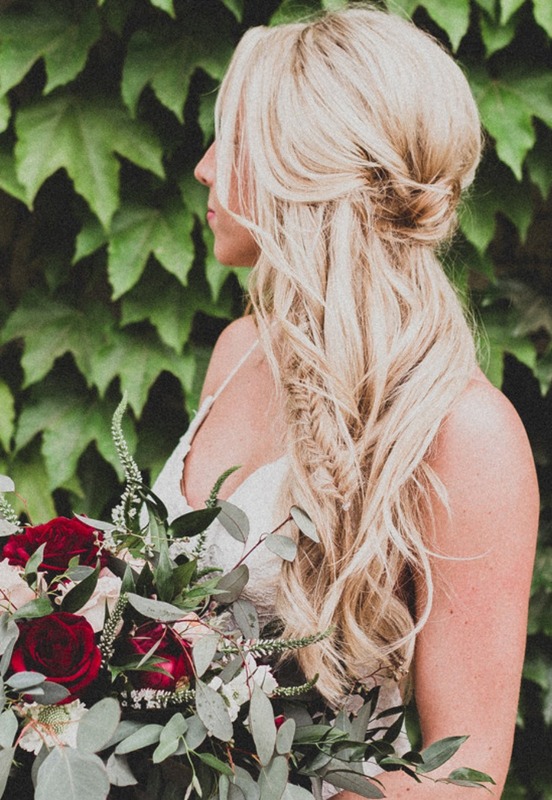 There’s nothing we love more than a beautiful real wedding, so of course, we were more than happy to comb through our real weddings for the prettiest hair inspo around. 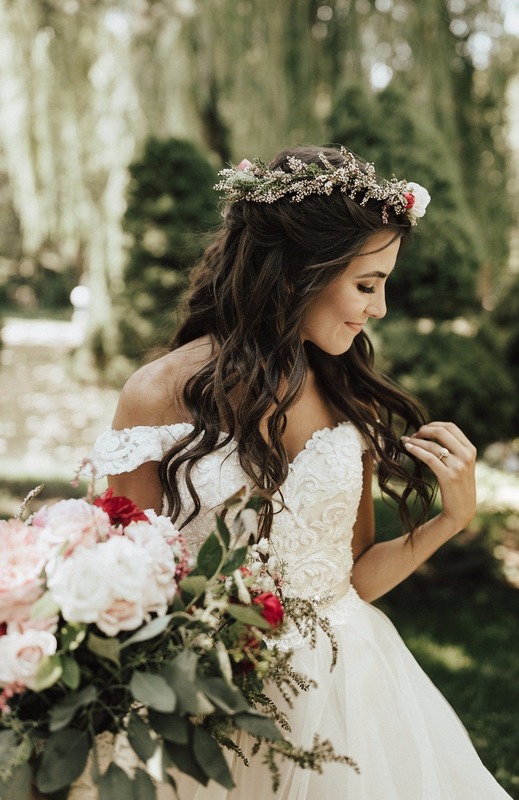 From soft waves to elegant braids, and flower crowns galore, we rounded up some of our favorite looks worn by real brides just like you. You don’t have to have a glam squad to make your dream hair happen, but if you do happen to have a little bit of help, be sure to save your favorite looks to take to your stylist later. Keep scrolling to see them all now. Accessorize your hair like you just don't care. 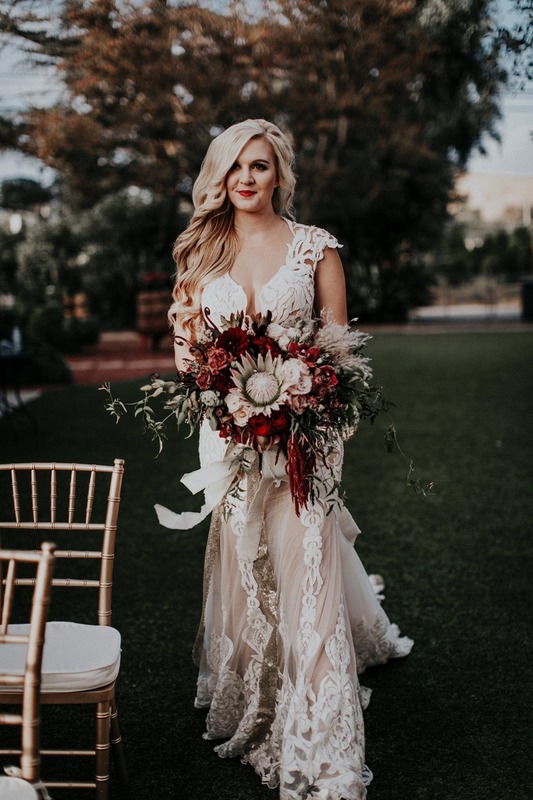 Savannah wore a white floral hair vine to accent her golden locks for their chic Airbnb backyard wedding in Arizona. Just wait till you see the confetti toss after their I do's! Dreamy side-swept style! 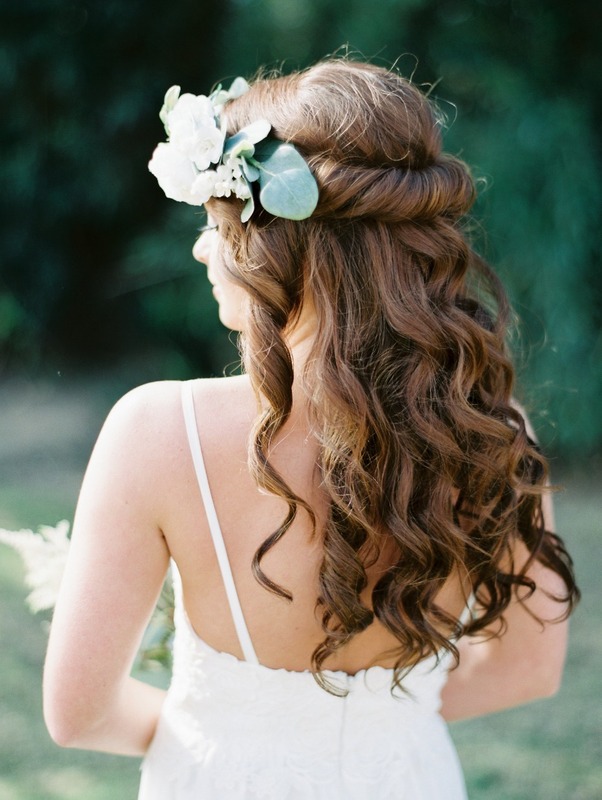 Jessica chose an elegant side-swept look with loose curls for her intimate vow renewal in California. If you're wearing a backless dress, show it off! 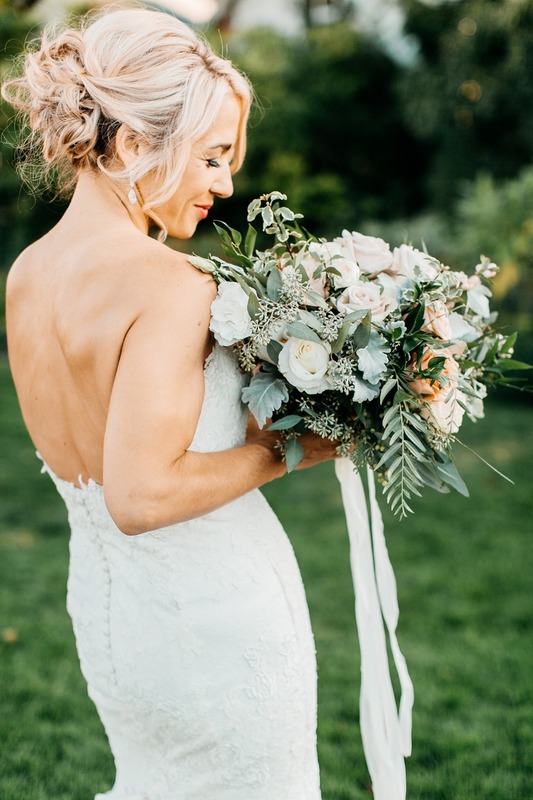 This next bride kept it chic with a low bun accented with a bit of sparkle and a few loose stands in the front for her Hop Farm wedding in Oregon. 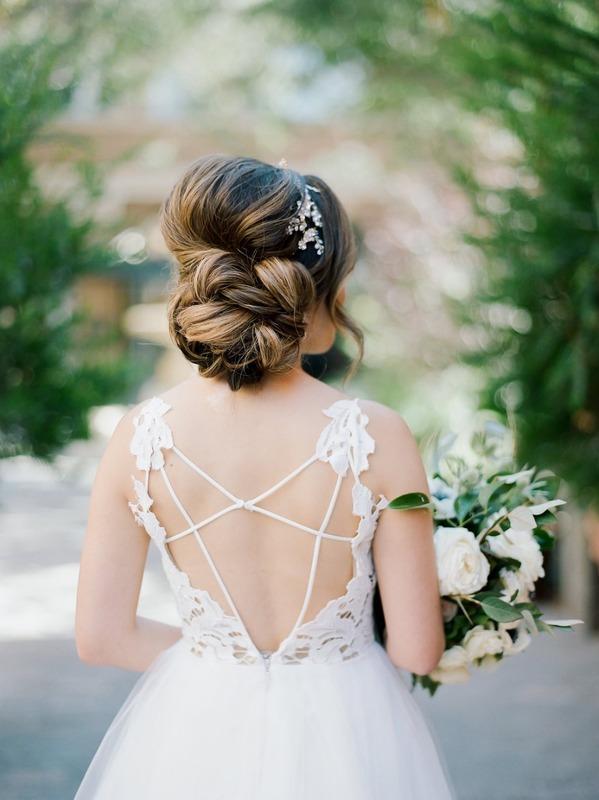 This bride's thoughtfully constructed bun looks like a work of art for her elegant estate wedding. 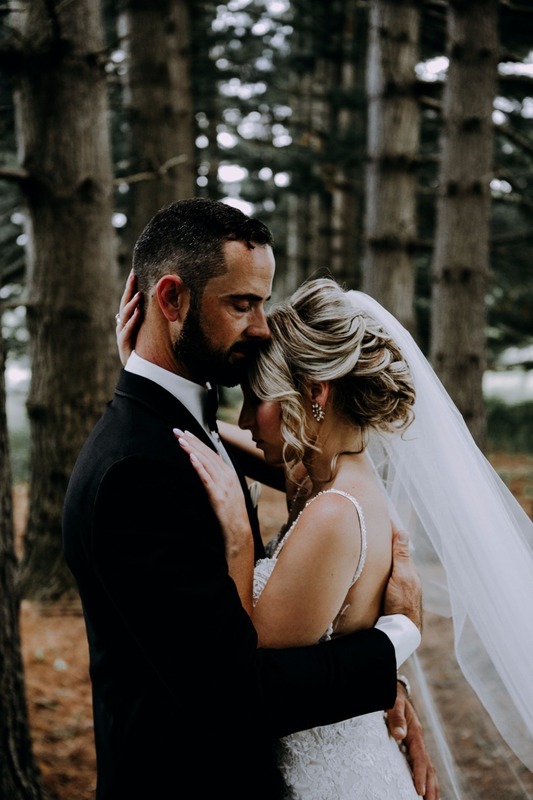 Jessica's gorgeous Bella Colina wedding is by far one of our most popular, and we LOVE how she kept her hair beachy chic with a center part and loose, tousled waves. Half up, half down. 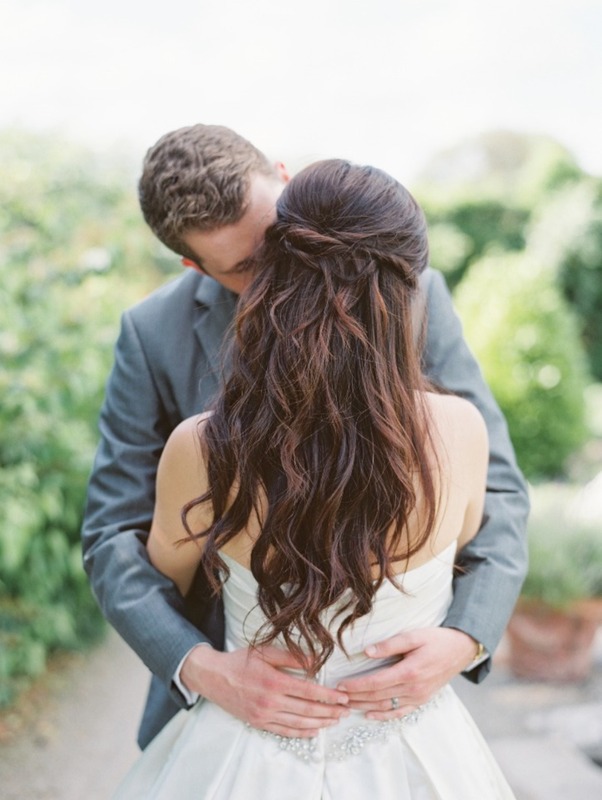 We love the simple twist and loose curls for this bride's dreamy castle wedding in Ireland. We’re dying over Diana's old Hollywood style for her glam wedding in Portugal with a side swept part and gorgeous soft curls. 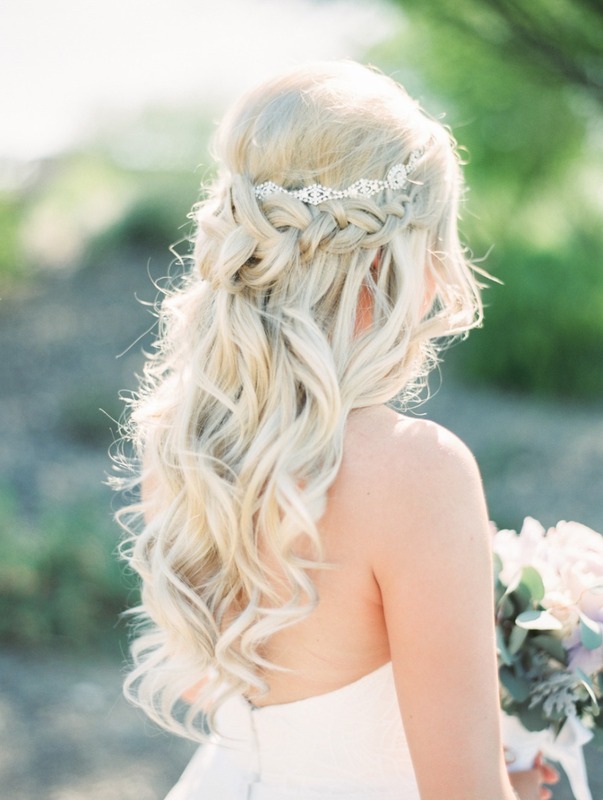 Kristi accented her loose curls with a chic braid + a touch of sparkle for her gorgeous garden wedding. This elegant yet messy bun looks chic and sophisticated for this bride's beautiful San Juan Islands wedding. 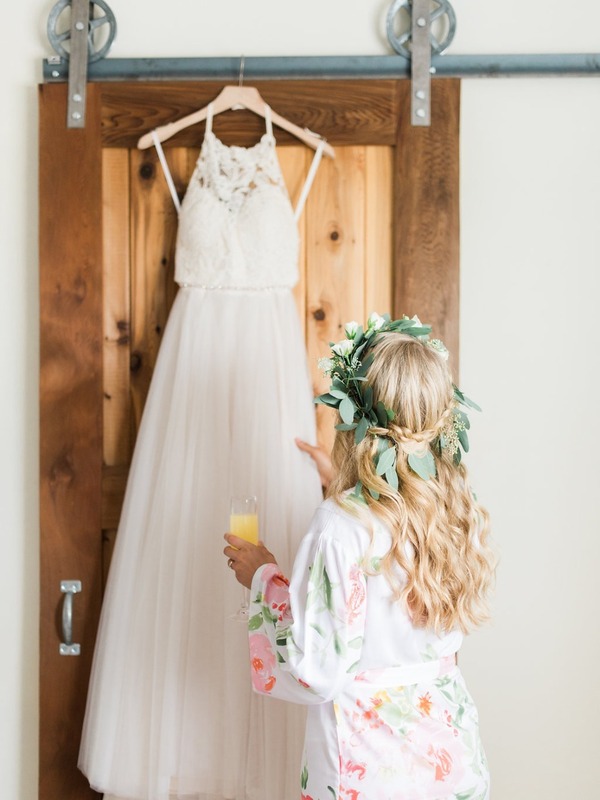 For her early bird wedding in California, Logan kept her hair boho chic with a tousled half-up bun, fishtail braid, and loose curls. For this bride's ultra glamorous wedding in Santorini, she accented her center part with tight curls and a sparkling tiara fit for royalty (just wait till you see her shoes + dress!). We LOVE flowers crowns, and this bride accented her half-up, half-down do with the prettiest flower crown for her summer greenhouse wedding. Katie looked stunning for her romantic outdoor wedding with a beautifully constructed bun and loose curls in the front. 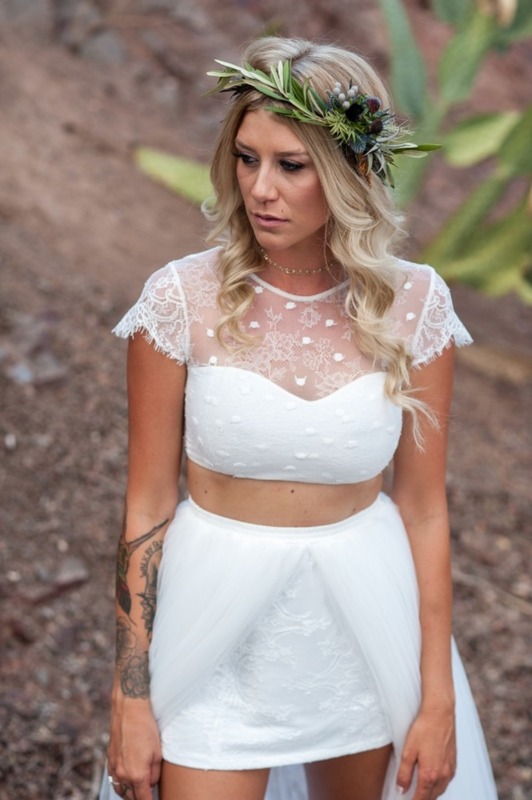 You don't have to go over the top for the perfect bridal hair, and we're loving the relaxed boho vibe of this bride's retro curls and desert-inspired floral crown for her non-traditional desert wedding. Here's an idea to wrap your hair around! 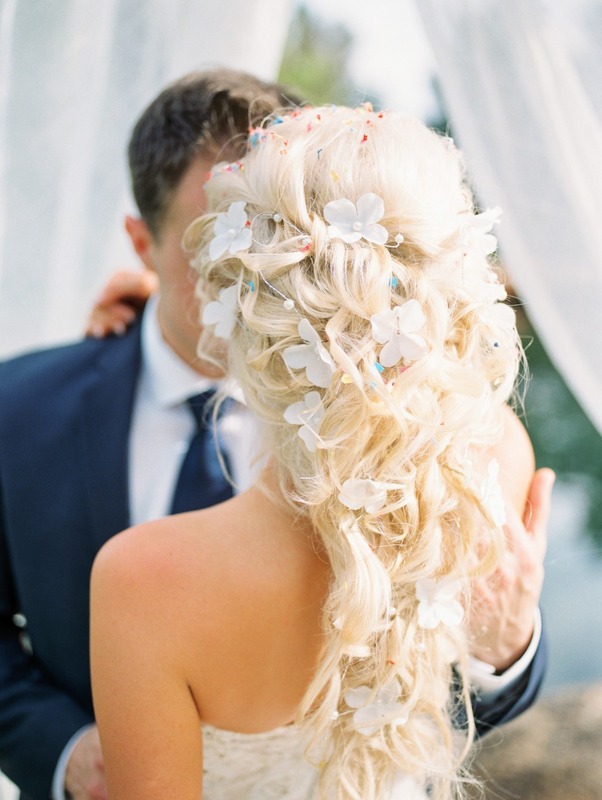 This bride opted for a silk flower crown and soft curls to complete the look for her bohemian romance wedding. Molly polished off her colorful bridal look with a flower clip accent and loosely placed updo for her modern Pantone colored wedding. 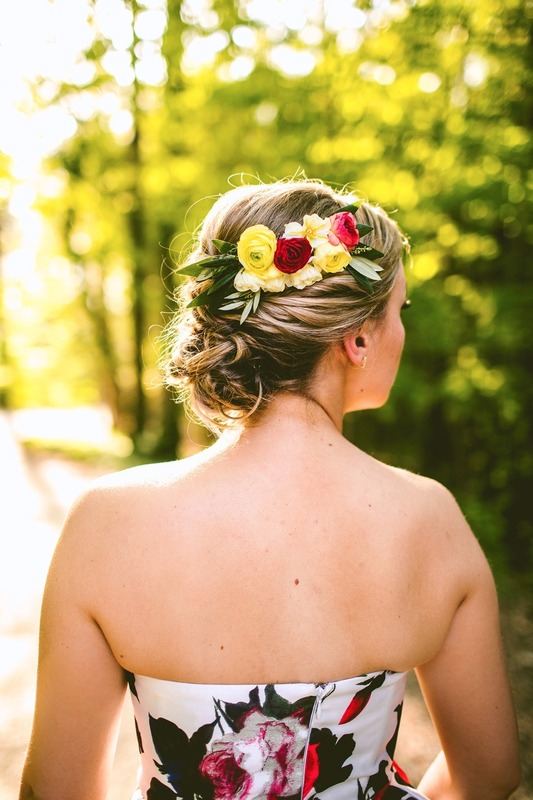 Add a fresh take to your wedding hair with a leafy crown weaved right into your braid, just like this bride did for her boho farm wedding. 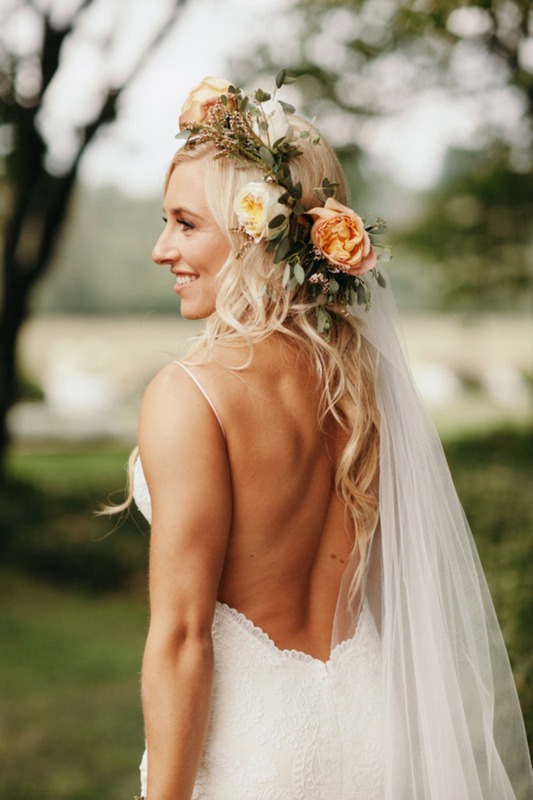 You can always go wild with your floral crown like this bride did, and we love how it perfectly accents her untamed curls for her country chic wedding. 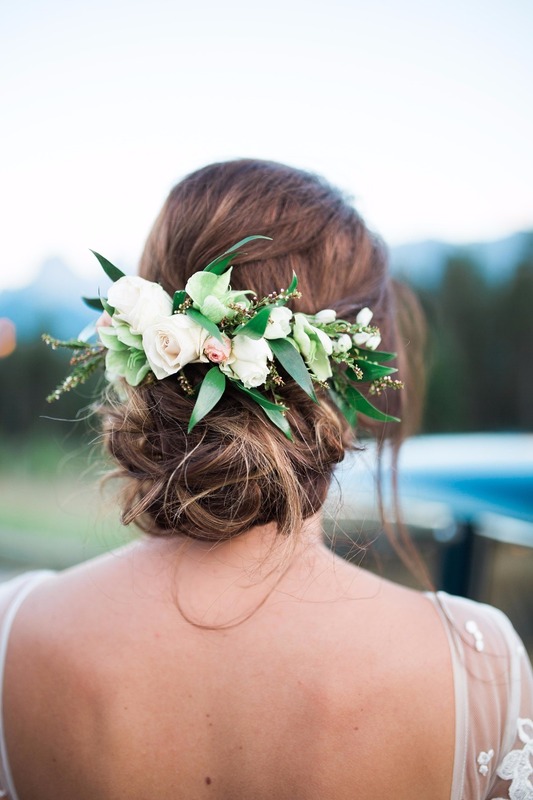 Amanda's messy low updo with an elegant floral accent was picture perfect for her gorgeous wedding in the Canadian Rockies. Alexandra's gorgeous seaside wedding in Greece was flawless from beginning to end, but we're here to talk about her hair! A beautiful waterfall braid was all she needed to complete her boho bridal look, and we're loving the simplicity of it all.